Zan Gao - School of Kinesiology, Univ. of Minn.
Dr. Zan Gao obtained his Ph.D. from Louisiana State University in 2007. He is a faculty at the School of Kinesiology in the University of Minnesota-Twin Cities, specializing in physical activity and health. Dr. Gao’s research has primarily focused on promoting health with emerging technology through population-based physical activity interventions. In the past several years, Dr. Gao has given over 200 presentations at various international and national conferences. He has also published 27 book chapters and 100 research articles (including over 50 first authored) in peer-reviewed journals such as Obesity Review, American Journal of Preventive Medicine, Archives of Pediatrics and Adolescent Medicine, Journal of Physical Activity and Health, Research Quarterly for Exercise and Sport (RQES), and the Journal of Teaching in Physical Education (JTPE). 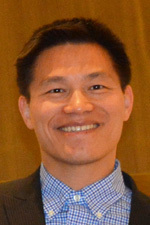 Dr. Gao has been the recipient of several international and national awards, including the 2008 National Association for Kinesiology and Physical Education in Higher Education Hally Beth Poindexter Young Scholar Award, 2009 American Alliance of Health, Physical Education, Recreation, and Dance (AAHPERD) Mabel Lee Award, 2013 National Association for Sport and Physical Education Curriculum and Instruction Heitmann Young Scholar Award, and 2015 SHAPE America Leroy T. Walker Young Professional Award. Dr. Gao has been the principal investigator of National Institute of Health research grant, Robert Wood Johnson Foundation Grant and AAHPERD Seed Grant. He also serves as a reviewer for many journals including, but not limited to RQES, JTPE, the Journal of Physical Activity and Health, and Obesity Review, as the Section Editor for Measurement in Physical Education and Exercise Science, the Editorial Board Member for the JTPE, Journal of Clinical Medicine, Games for Health, Journal of Health and Sports Science, and International Journal of Behavioral Nutrition and Physical Activity, and Editor-in-chief for Column-Research, Teaching, and Media in Kinesiology. He is currently the Fellow of American College of Sports Medicine and the Fellow of AAHPERD Research Consortium. Assistant Professor of Exercise Science, Texas Tech University, Department of Health, Exercise and Sport Sciences, Lubbock, TX. Adjunct Professor of Sports Pedagogy, University of Utah, College of Health, Department of Exercise and Sport Science. Salt Lake City, UT. Assistant Professor of Sports Pedagogy, University of Utah, College of Health, Department of Exercise and Sport Science. Salt Lake City, UT. Gao, Z., Stodden, D., & Feng, D. (2012-2015). Impact of Interactive Video Games on Underserved Children’s Health. National Institutes of Health PA-10-070 Academic Research Enhancement Award (Parent R15: 1R15HD071514-01A1). Priority Score: 20. Funded. $432,225. (PI). Gao, Z., & Valdez, V.E. (2009-2011). Impact of Physical Activities on Urban Latino Children’s Physical Fitness, Self-esteem and Academic Performance. The University of Utah Interdisciplinary Seed Grant. $12,000. Funded. (PI). Gao, Z., Montenegro, R., Valdez, V.E., Hannon, J.C., & Xiang, P. (2009-2011). Integrating Dance Dance Revolution to Promote Urban Latino School Children’s Physical Health and Academic Achievement: Project GAME. Robert Wood Johnson Foundation Salud America! $74,041. Funded. (PI). Gao, Z., Hannon, J.C., & Newton, M. (2010-2013). The Impact of Classroom-based Physical Activity (Take 10!) on Underserved Children’s Exercise Motivation and Physical Health. The University of Utah College of Health Research and Creative Grant Competition. $5,000. Funded. (PI). Huang, C., & Gao, Z. (2009-2010). Effect of Aerobic Exercises on Children’s Exercise Determinants and Behaviors. The University of Utah PEAK Academy Graduate Research Award. $1,500. Funded. (Faculty Mentor). Newton, M., Hannon, J. C., Gao, Z., & Paisley, K. (2009-2010). Predictors of Sportpersonship and Motivation in High School Athletes. The University of Utah College of Health Research and Creative Grant Competition. $6,200. Funded. (Co-I). Richardson, G., Summerhays, J., Hannon, J.C., Compton, D., Ellis, G., & Gao, Z. (2009-2011). Tipping the Scales towards a Healthier Population: The Utah Blueprint to Promote Healthy Weight for Children, Youth, and Adults. The Utah Partnership for Health Weight. $200,000. Funded. (Co-I). Gao, Z., Hannon, J.C., & Newton, M. (2008-2010). The Effects of Goal Setting on Overweight Students’ Physical Activity Levels and Performance in the Dance Dance Revolution Program. The University of Utah College of Health Research and Creative Grant Competition. $7,500. Funded. (PI). Gao, Z., Hannon, J.C., & Newton, M. (2008-2010). The Effects of Curricular Activity on Students’ Situational Motivation and Physical Activity Levels in Physical Education. AAHPERD Research Consortium Seed Grants. $5,000. Funded. (PI). Ph.D., 2003-2007, Louisiana State University, Baton Rouge, LA, U.S.
Gao, Z., Lee, J., Pope, Z., & Zhang, D. (2016). Effects of exergaming on children’s classroom behaviors and effort. Games for Health Journal, 5(5). DOI: 10.1089/g4h.2016.0049 (impact factor: 2.03). Gao, Z., Zhang, T., & Stodden, D. (2013). Children’s physical activity levels and their psychological correlated in interactive dance versus aerobic dance. Journal of Sport and Health Science, 2, 146-151.